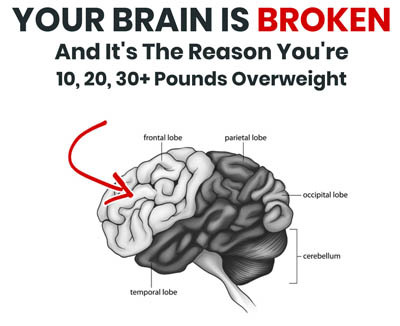 The Algorithm Diet Review (2019) - Is Your Brain Broken? The Algorithm Diet Review (Jan 2018) – Is Your Brain Broken? It’s hard to lose weight; no one disputes that. What people do dispute is why it’s hard to lose weight. Is it your metabolism? Your lack of willpower? The fact that you’re eating too many calories/carbs/whatever? According to Kevin McMillian, the author of The Algorithm Diet, the problem is none of those. He says it’s that “your brain is broken,” and that you need to simply retrain it. By doing that, (and he says it’s easy) you can lose 10, 20, 30 pounds or more with relatively little effort. 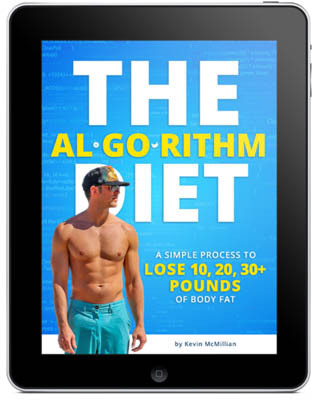 The Algorithm Diet seems like a different approach to weight loss, so I thought I’d take a closer look and see if the book is a worthwhile read. Is The Algorithm Diet a scam? Or will it really work for you? 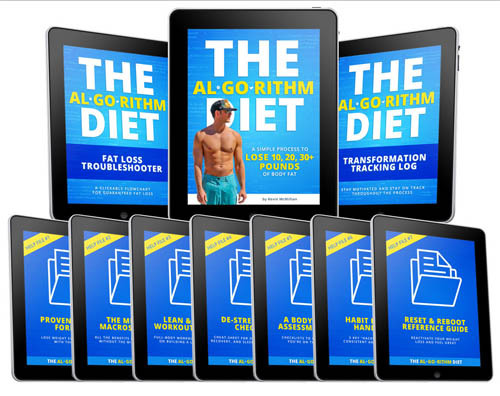 Read on for the full The Algorithm Diet review. The Algorithm Diet is sold as a series of books in PDF format. This allows you to download them immediately after purchase, no matter what time of day you buy. PDF books can be read on most any computer device, including your iPhone or tablet, making them quite convenient. Consume fewer calories than you use. Many diets take this approach, but they do it in a tangential way by cutting fats, cutting carbs, having you eat “weird” foods (cabbage soup diet, for instance) or doing any one of a number of other things that are hard to adapt to. Losing 10 or 20 pounds shouldn’t be a goal. What should be a goal is losing weight, getting to your ideal weight, and sticking to it. You should be able to use one plan for that, and The Algorithm Diet approach is one that you should be able to adopt and turn into a lifestyle that you can stick with forever. You’ll have a light breakfast, a hearty lunch, a full, satisfying dinner and both a midafternoon snack and a dessert. That doesn’t sound so bad, does it? Not only that, but you will have a fair amount of flexibility regarding what you eat, provided that you stick to the rules. The rules of The Algorithm Diet are tailored around finding the correct number of calories that you should be consuming each day. Once you find that, (The Algorithm Diet will tell you how) you can then come up with a daily diet that allows you to consume that number of calories each day. That target number of calories should be just enough less than what you need so that you’ll lose weight and be able to keep it off. While you do have a fair amount of flexibility in what you eat, The Algorithm Diet makes some recommendations. Kevin, the author, sticks to a fairly routine diet. In fact, he eats the same thing for lunch every day. He mixes dinner up a bit, but for the sake of simplicity, he eats the same lunch daily. That way, he knows exactly how many calories he’s getting. The Algorithm Diet does have a workout plan. Kevin says that it’s optional, but you’ll get better results if you use it. The workout plan does require access to gym equipment, as the plan makes use of a weight regimen. For that, you’ll either need to have a set of weights and a weight bench or access to a gym that does. The workout routine can be anywhere from two to four times a week, at your discretion. You can also add some cardio workouts to the program if you like. The workout section of The Algorithm Diet was pretty basic, simply telling you what to do and how many times to do it. There were no photos, videos, or detailed descriptions of the exercises. There were also no recipes or an included meal plan. The Algorithm Diet is a very basic system and you’ll have to come up with your own meal plan, based on the number of calories that you’ll need each day. That’s fairly easy to do, but if you’re the kind of person who wants an all-inclusive weight loss solution that comes with a list of groceries to buy and a 30 day list of meals to eat, then The Algorithm Diet might not be the best choice for you. On the other hand, the basic premise of The Algorithm Diet is a simple one, and if you can find your calorie target and stick to it over the long run, you should be able to lose weight and keep it off. The Algorithm Diet makes it simple by reducing all of that to a simple formula and showing you how to apply that formula on a daily basis so that you can go with it for years. You should be able to lose weight and keep it off with a minimum amount of trouble and fuss. The Algorithm Diet is recommended. Click here to visit The Algorithm Diet Website. 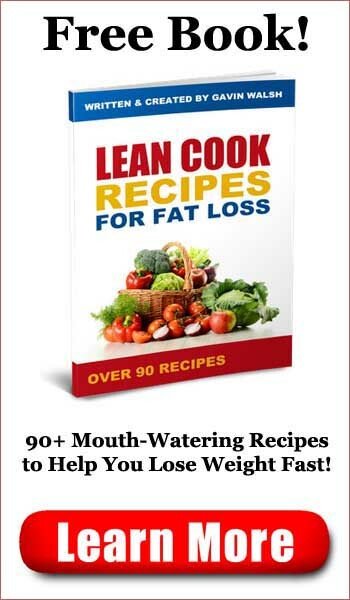 Lean in 19 Review - Lose 17 Pounds in 19 Days? 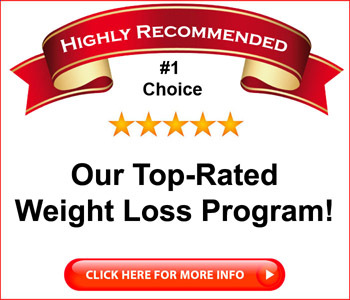 Anti Diet Solution Review - 16 Pounds in 10 Days? Spec Force Abs Review - Six Pack in 6 Weeks? 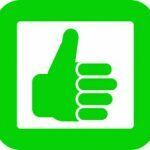 My Back Pain Coach Review - Pain Free in 16 Minutes? Ultimate Keto Meal Plan Review - 21 Days to Success?